In the movie The Legend of Hallowaiian, it is Hallowaiian on the Big Island of Hawaii, so excitement and mischief are in the air. 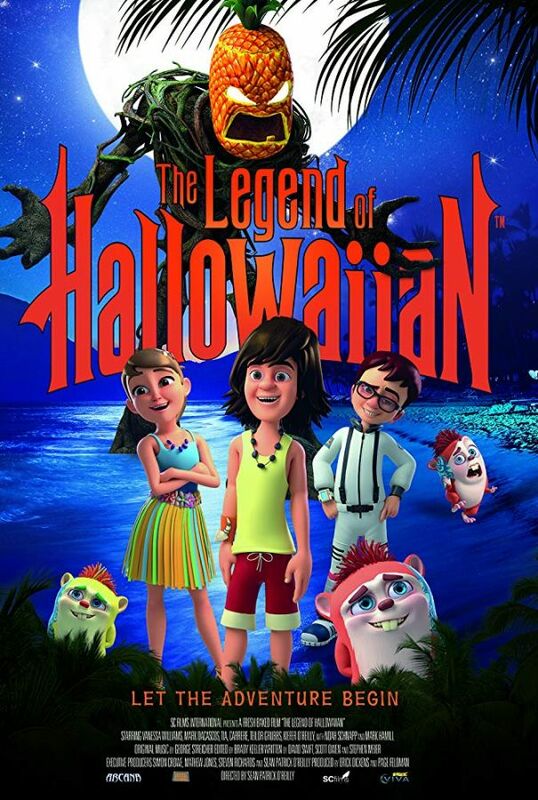 Three young friends, Kai, Eddie and Leilani uncover a mysterious idol in a secret cave whilst catching some waves at sunset. They quickly uncover that they’ve unleashed an ancient evil upon the island in the form of a giant pineapple headed monster. The kids find help in some mystical friends and discover that in order to vanquish the evil, Kai must uncover his heritage, and believe the ancient stories of his ancestors.